Coaches Code of Conduct *- This is our Coaches code of conduct form. Parent & Player Code of Conduct *- This is our parent and player code of conduct. Age & Weight Parameters- These are the Age & Weight Parameters for both flag and tackle football. 2018 Flag Football Rules *- These are the rules for all three levels of flag football for the 2018 season. 2018 Flag and Tackle Evaluation Process *- This document provides all the details about the flag and tackle evaluation process. By Laws *- These are the updated By-Laws as of January 4, 2012. LBC Helmet Policy *- LBC's Helmet Policy. Leadership Seminar *- This is the details of the mandatory meeting for all cheerleaders, flag and tackle football players. TIM WETZEL MEMORIAL SCHOLARSHIP(2014) *- Due by March 20, 2014. 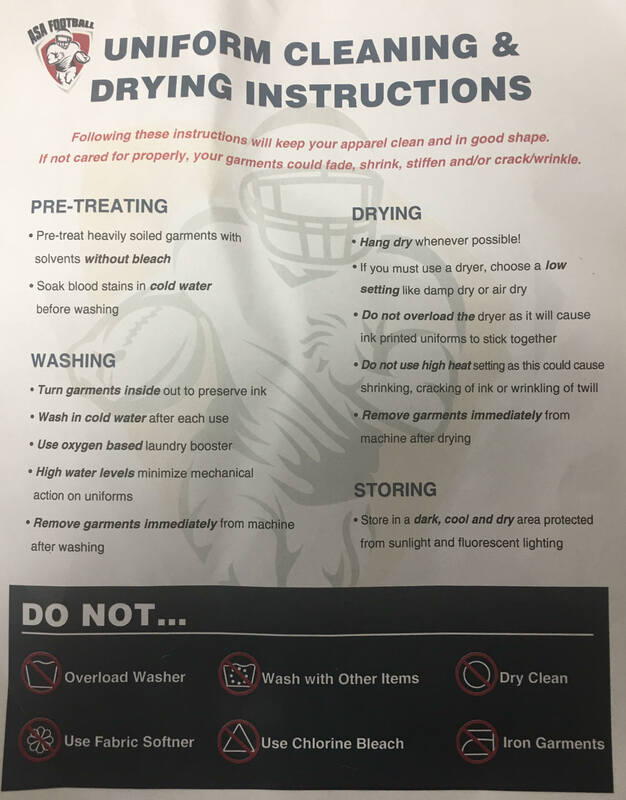 Jerseys Care- These are the instructions on how to wash the jerseys. Replacement Jerseys are $75.